Once trees go dormant in late fall most people assume the tree is shut down for the year. This is not true. Though the tree is not actively growing during this time of year, it is still very much alive. Fertilizing just as the tree goes dormant allows those nutrients to be used for disease resistance and root development. In my opinion, these two reasons make fertilizing in the late fall one of the best times to fertilize trees and shrubs. The excess nutrients are stored in the roots and are readily available for new growth the following spring. A fertilization program provides your trees and plants with the necessary nutrients and adds organic matter to the soil. Donovan Arborists adjusts almost every tank of fertilizer to meet the particular requirements of your trees. All of our formulas include a high quality, organic soil conditioner that adds organic matter to the growing environment. After repeated applications, the soil can be more easily penetrated by water, nutrients, oxygen and roots. 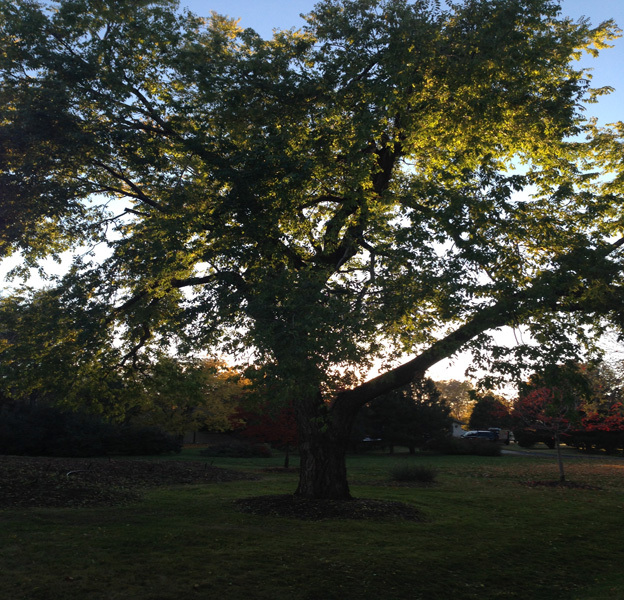 Donovan Arborists also uses a well-rounded fertilizer that supplies your tree with the necessary nutrients to improve its health, disease resistance and promotes root development. The amount of fertilizer is adjusted on a per tree basis depending on the species, over condition and growing environment. Fertilizing in the late fall has many benefits for your trees and shrubs. Call Donovan Arborists at 303-623-8733 for a free consultation on how this program can help keep your trees and shrubs beautiful.